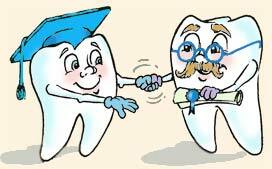 • Save time by avoiding future dental treatment. These reasons should be motivating enough, but we now know there are even more important reasons to free yourself of dental diseasesuch as improving your health and living longer. Exploring the link, Dental Disease & Health Risks, will prove how devastating gum disease can be to your overall health. There you’ll learn why you can no longer afford to postpone treating this disease because the longer you wait the more damaging it will be on your overall health. Simply put, gum disease can no longer be dismissed as a ‘minor’ or ‘insignificant’ disease of the gums and teeth. If your goal is to eliminate dental disease and improve your oral and overall health, my innovative dental prevention program will help you restore your mouth to health and function; and improve your overall health and energy. The key to the success of this program is your commitment and the information in my book, Healthy Teeth-Healthy Body: How to Improve Your Oral and Overall Health . The program is designed to use my book to educate yourself about the importance and value of preventive dentistry. . . but you must be perfectly clear thatprevention is not something that is done to you . . . it is done by you! But best of all, it works! It is designed to guide and support you through the treatment and healing processfrom A to Z. Everything you’ll need to make your program successful and accomplish your goal of optimal oral health will be provided. Finally, I want you to know that past failures have no place here, nor do shame, blame, or guilt. The focus of this program will not be on what didn’t work for you in the past but on what will work for you now, and in the future. No matter how frustrating your efforts at improving your oral health have been in the past, my book and dental wellness program will change all of that. In the process it will also show you how to effectively utilize the dental hygienist to insure the success of your prevention program. The next section tells you Why It Works. There can no longer be any doubt about itif your goal is to be free of dental disease and achieve optimal health. . . Overall Health Must Include Oral Health!